On Monday, 106 lawmakers in Venezuela's 167 person parliament voted in favor of a resolution which said that Maduro had 'abandoned his post' by allowing the country's economic crisis to spin out of control. 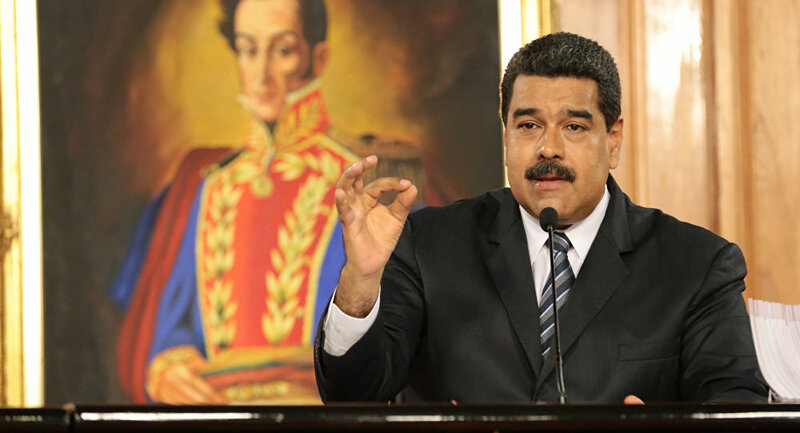 Maduro quickly retorted by suggesting that the National Assembly's measure was "a coup manifesto," and urged authorities "not to let the violations of the Constitution and disrespect for the legal order to go unpunished." Dismissing lawmakers' resolution, Venezuela's Supreme Court stressed that the National Assembly does not have the legal authority to dismiss the president under the country's constitution. Venezuela has been facing a political crisis for over a year, to compound to its economic woes. In 2015, opponents of the ruling United Socialist Party of Venezuela government won a majority in the country's parliament, the National Assembly. However, their ongoing conflict with the government is thought to have only made the economic situation worse. 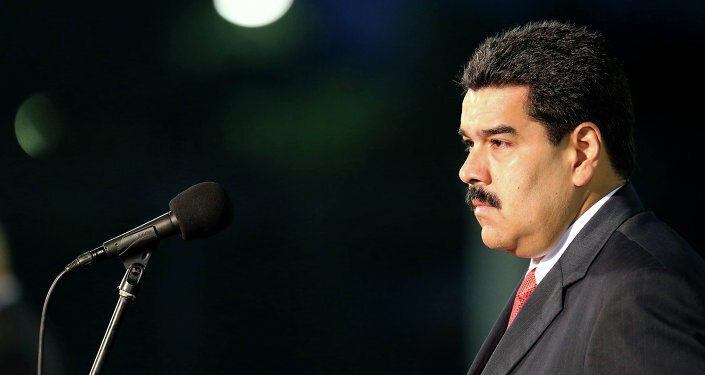 In late October, the National Assembly voted to initiate impeachment proceedings against Maduro, ordering him to appear at a session of Congress on November 1. The government, supported by the Supreme Court, dismissed the move, citing its unconstitutionality. Speaking to Sputnik Mundo, political analyst Laila Tajeldine stressed that it was obvious that Monday's vote "wouldn't have any weight" inside the country. The academic noted that "all the decisions made there [in the Assembly] were unconstitutional – that is, outside the law. In the legal sense, they have no effect for the Republic." Instead, she said, the current efforts in the parliament were a 'show' for foreign consumption. "We are watching a show that will have more of an impact outside the country than does domestically," Tajeldine noted. "We know that the big media corporations are connected, and directed against Venezuela's interests, against the government and against the ideals of the [Bolivarian] Revolution," she added. The political analyst called the National Assembly's resolution a "misuse of power" by Venezuela's right. It's absurd, she said, to claim that the president has abandoned his office, while he is making statements, making decisions, and conducting business with Caracas' foreign partners on a daily basis. Ultimately, according to the observer, "the opposition and Venezuela's right are scoring political points while the country is being destabilized, taking advantage of internal problems." These problems, she said, are not caused only by factors such as low oil prices, as Maduro's detractors suggest, but also as a result of a "clearly directed [economic] war from abroad: by international banks, companies and the US Treasury." It was especially important for Venezuela's opposition to make an effort to remove Maduro now, Tajeldine stressed, given the country's gradual efforts to turn the economic situation around. For his part, Gevorg Mirzayan, a Russian political scientist and political observer for Russia's RIA Novosti news agency, commented on Monday's vote by suggesting that the National Assembly's effort to depose the president was "a very arbitrary reading of the constitution, even by Latin American standards." With the Supreme Court dutifully shooting down the resolution, Mirzayan pondered whether it was a good thing or a bad thing that this 'soft coup' failed. Essentially, he noted, "the experience of the past few years has shown that Maidans, Tahrir Squares and other [color] revolutions generally don't lead to anything good." In fact, Mirzayan added, "when a portion of the population rejects the legitimate procedures for the change of power and, with the moral or material support of external forces, overthrows the government by force, this leads not to a solution of the state's problems, but their aggravation. In some cases (Libya for example) it even leads to the dismantling of the state." Accordingly, the analyst stressed, "this is why Russia, China and other responsible powers are categorically opposed to such revolutions, proposing to the disaffected to act exclusively within the legal framework."